Whether it’s a week later or a year later, I always find out what the weird random screw or plastic piece I found in my car actually went to. But I also never fail to lose track of said pieces before that happens. 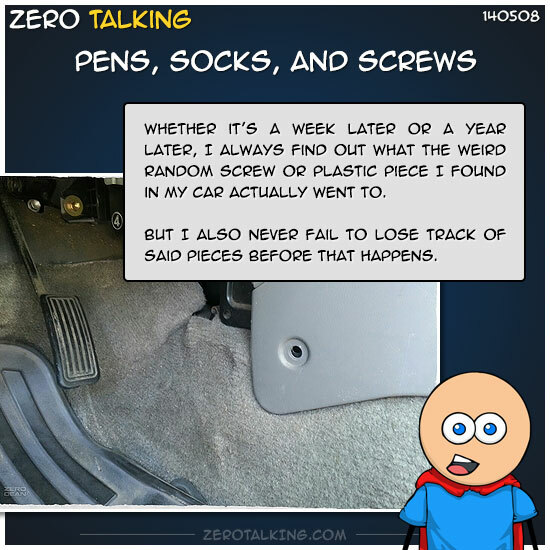 I’m pretty sure I’ve lost so many screws in (and from) my vehicle at this point that one day the whole thing is just going to collapse into pieces. But don’t worry, I’ll lose track of those, eventually, too.